NEW YORK (AP) — Comedy Central’s Jordan Klepper is planning a slumber party for young activists pushing for action on gun control. 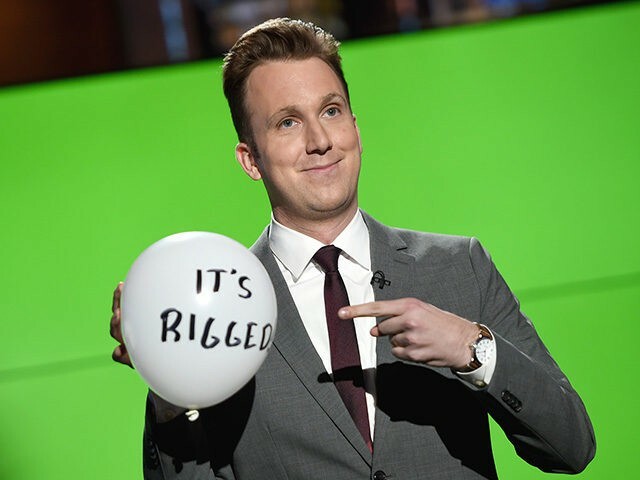 Klepper is taking Thursday’s episode of his show, “The Opposition,” out of a New York studio and into the living room of a private home in the Bethesda, Maryland area. That’s where many young people plan to gather in preparation for Saturday’s March For Our Lives on Washington to oppose gun violence. “It’s so nice to be inspired by people who aren’t cynical about the political process, who are actually doing something,” Klepper said on Monday. He didn’t solve much, of course. But in the process of talking to people on all sides of the issue, Klepper said he was surprised by how much common ground he saw on issues like background checks and scientific research. To him, it has made the lack of political action on the issue despite several mass shootings particularly frustrating. Klepper got some attention last month for having two student survivors of the Parkland, Florida, school shooting on for interviews. “The students are doing an amazing job of keeping this conversation going and elevating this, both in the news and in people’s minds, so it doesn’t just go away and people in positions of power can forget about it as well,” he said. Show researchers found an organization called DC Teens Action, which is matching people coming in for the march with host families in the area. Comedy Central made arrangements with one such group to highlight for the show. In addition to the young participants, U.S. Sen Cory Booker, a New Jersey Democrat, will stop by. Klepper won’t be breaking character to conduct his interviews. He plays a conservative conspiracy theorist on the show, much like Stephen Colbert played a conservative talk show host when he was at Comedy Central. He found that when he interviewed the Parkland students, they later appreciated Klepper going after them in this fashion, because it gave the students the chance to refute claims made against them. His show also will be filming at Saturday’s rally for future segments. “Whenever you see an opportunity where maybe the conversation can change things, you have at it,” he said.